Wash and scrub potatoes; do not peel. Dry with a kitchen towel. Prick each a few times with a fork. 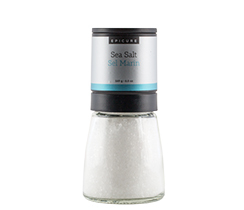 Brush with oil, then sprinkle with Sea Salt. Place potatoes directly on oven rack in preheated 400° F (205° C) oven. Bake until fork-tender, about 45 minutes to 1 hour. Turn spuds over half way through baking. 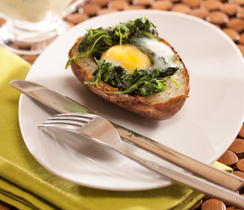 Place spinach in a microwave-safe bowl. 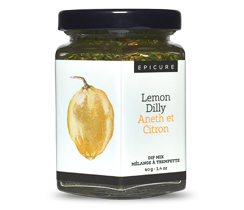 Stir in Lemon Dilly Dip Mix. Microwave on medium heat for 3-5 minutes, stirring occasionally, until warm. Cut cooked potatoes in half lengthwise. Scoop out enough potato to make a medium-sized hollow in each. 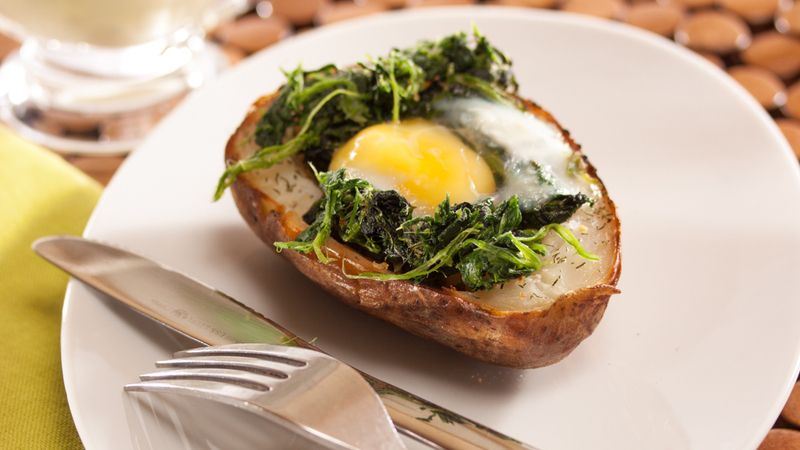 Half fill hollows with warm spinach. Crack an egg over each and sprinkle with cheese. Bake in oven until eggs are set, about 10 minutes. 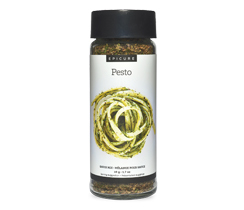 Spoon Creamy Alfredo Pesto Sauce overtop and serve.